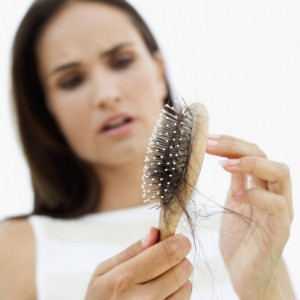 No, the rodents had "only" enlarged hearts, but hairloss is a common side effect of elevated thyroid hormones and could theoretically occur in the long run. You have read about it on the SuppVersity and you've seen it as an ingredient in several recent fat burners... a purportedly 100% save non-suppressive thyroid hormone which goes by the name 3,5-Diiodo-L-Thyronine (T2). While previous rodent studies highlighted only the beneficial metabolic effects, i.e. increases in fatty acid oxidation and resting energy expenditure, a recent study from the German Institute of Human Nutrition Potsdam-Rehbruecke raises serious concerns about what Wenke Jonas and her colleagues call the "indiscriminate administration of 3,5-T2 as powerful natural hormone for the treatment of hyperlipidemia and pandemic obesity" (Jonas. 2014) - in other words: About using T2 as a weight loss supplement or anti-obesity drug in lean or obese individuals without medical supervision. But what exactly is it, the scientists are concerned about? In their latest rodent study (there is as of now a scarcity of human studies on "T2") the German scientists observed dose-dependent thyromimetic effects of 3,5-T2 akin to those of T3 in diet-induced obese male C57BL/6J mice. That's in contrast to early studies which claimed that T2 had no thyromimetic effects on hypothalamus-pituitary-thyroid axis, but would act only peripherally to increase resting energy expenditure and fat oxidation, but in line with a rodent study by Padron et al. (2014) who reported only recently that Administration of 3,5-diiodothyronine (3,5-T2) causes central hypothyroidism and stimulates thyroid sensitive tissues of rats. Maybe the dosage is just too high? Possible, but in view of the fact that the study reports a dose dependent increase in total energy expenditure that peaks at 14% with the high dose that was used in the study at hand, using less would be pointless anyways. On the other hand, previous studies with only 300mcg of T2 per day showed no effect on T3 & T4 levels and a small but significant weight loss in two obese subjects with normal thyroid function (Antonelli. 2010). With N=2 the number of subject in this study from a (imho) non-peer-reviewed publication you cannot access online is yet far to low to call the results representative. Moreover, it is at least somewhat disturbing that all the beneficial research on T2 comes from Department of Internal Medicine at the University of Pisa, while other labs consistently find negative side effects. As you can see in Figure 1, this claim is 100% unwarranted, the adminstration of 2.6µg/g body weight (since the standard calculations for human equivalent doses didn't work in previous studies on real thyroid hormones, I am not even attempting to give you the human equivalent) was not without consequences on the levels of the "classic" thyroid hormones T4 (thyroxine) and T3 (triiodothyronine) in the male C57BL/6J mice. 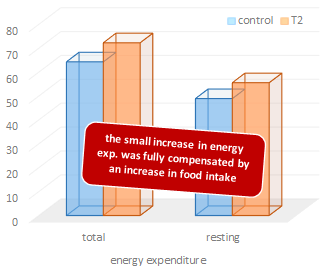 Figure 2: Despite the increase in energy expenditure the obese rodents didn't lose weight - they simply ate more. Now, if the goal is to increase the fat oxidation and basal energy expenditure, this probably wouldn't matter, if you decide to stay "on" forever (if you don't you would to wait at least a couple of days for your natural thyroid production to kick in, again) and, more importantly, if these changes had nothing but beneficial consequences. Unfortunately, Jonas et al. didn't just find that the hepatic thyroid target genes involved in lipid metabol were elevated to a similar extent as you would see it with T3, they did also find that the heart weight of the mice was significantly increased (just like you would see it with T3, again) after 28 days "on" T2. And as if that wasn't bad enough, the increased appetite that's characteristic of the hyperthyroid state the rodents were in triggered an increase in food intake which rendered the increase in energy expenditure void and 12% increase in total energy expenditure void and kept the weight of the pre-fattened and thus obese mice stable. In view of the latest results, I would actually have to rewrite all previous SuppVersity articles. I mean, I clearly wouldn't suggest it as a tool for lean bulking any longer. Bottom line: As the scientists point out in their previously cited conclusion, the study at hand clearly "raise[s] concern about indiscriminate administration of 3,5-T2 as powerful natural hormone for the treatment of hyperlipidemia and pandemic obesity" (Jonas. 2014). This does not mean that you cannot use T2 as a weight loss tool, but in fact of the previously mentioned absence of human data that would indicate that it does even work and considering the fact that the study at hand clearly indicates that it has similar same side effects as T3 (shut down of natural thyroid hormone production, increased heart weight indicative of myocardial stress) you could just as well use "real" thyroid hormones instead of 3,5-Diiodo-L-Thyronine (T2) if you are willing to live with the risk of side effects... or do you disagree? What are your thoughts and experiences? Let us know on the SuppVersity Facebook Page. Antonelli, A., et al. 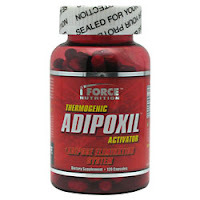 "3, 5-diiodo-L-thyronine increases resting metabolic rate and reduces body weight without undesirable side effects." Journal of biological regulators and homeostatic agents 25.4 (2010): 655-660. Jonas, Wenke, et al. 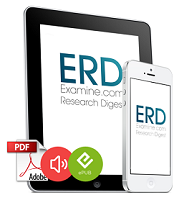 "3, 5-Diiodo-L-thyronine (3, 5-T2) exerts thyromimetic effects on hypothalamus-pituitary-thyroid axis, body composition, and energy metabolism in male dietinduced obese mice." Endocrinology (2014).